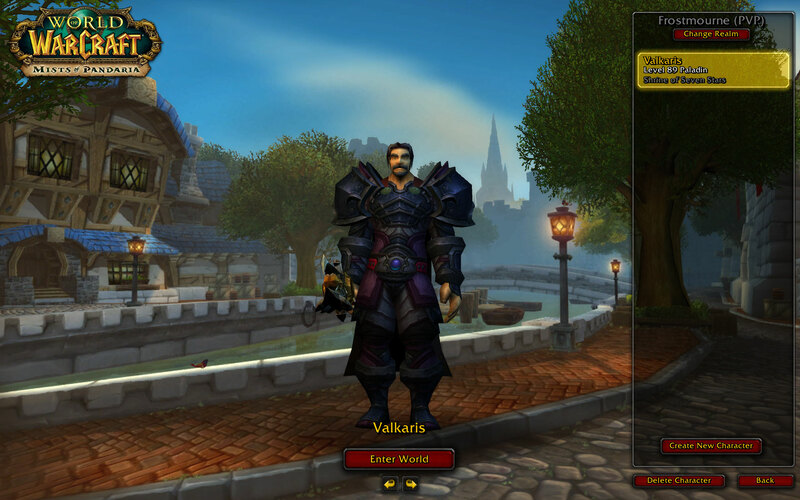 The Refined Geek » World of Warcraft: Mists of Pandaria: You Kids Have It So Easy These Days. World of Warcraft: Mists of Pandaria: You Kids Have It So Easy These Days. There’s something to be said for a game that’s been around for 8 years and can still claim the title of most subscribed game in the world. There’s a good reason for that, World of Warcraft provides one of the most polished gaming experiences around and continues to provide fresh content on a very regular basis. It’s for that reason that many people like me find themselves coming back for every expansion, even if we don’t end up staying for long after we finish the main quest line. I’ve been a little late to the party on this one, mostly because I didn’t have much incentive to go back, but when my friends told me they had reactivated the accounts I figured it was a good time to give it a playthrough and I’m very glad I did. 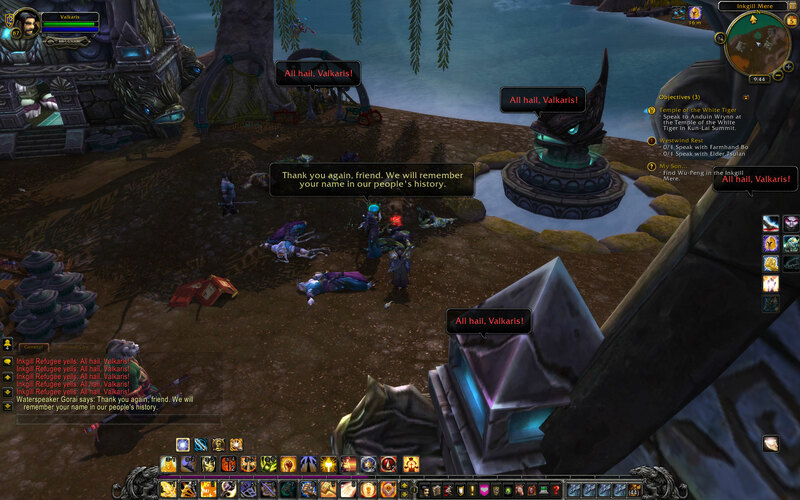 Mists of Pandaria takes place after the events of Cataclysm and the defeat of Deathwing. The young prince Anduin Wrynn (I played on Alliance side for this one) was travelling between the continents when his ship came into contact with the horde. During the ensuing battle an as of yet unknown landmass was discovered and both the ships were wrecked there. One of the crew managed to get a message out prior to this happening and you, along with a crack team of alliance soldiers are sent to rescue him. 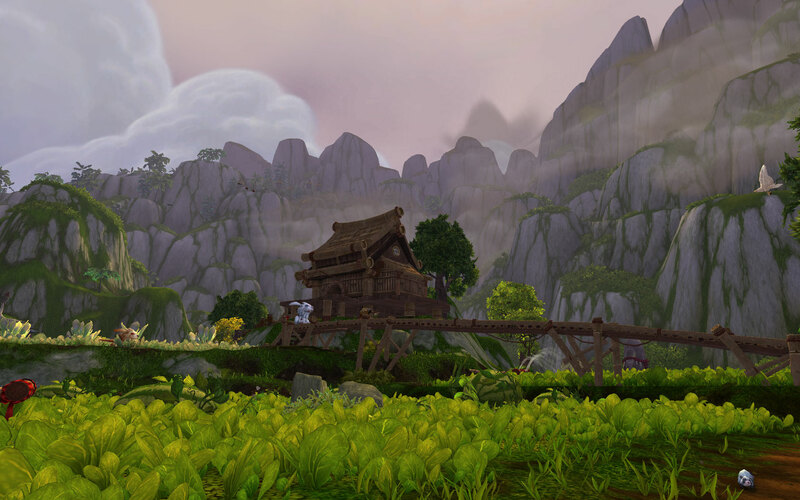 However what you discover is the long hidden land of Pandaria, inhabited by a race of humanoid Pandas who have embraced a monkish life, favouring balance over all things. The Horde and Alliance presence there has had the unfortunate effect of awakening an old evil, one that must be defeated lest Pandaria fall. As always Blizzard has done an amazing job with the graphical improvements in Mists of Pandaria. The draw distance has been increased dramatically, allowing you to take in massive vistas that seem to sprawl out forever in front of you. The modelling and texturing in the new areas also appears to be vastly improved over its predecessors which does unfortunately highlight how dated some other aspects are (like when you’re browsing faces in the character creator). Still it says a lot that my screenshot folder was filled with all sorts of wonderful landscapes as they really were quite impressive. Whilst a lot has changed since I last played World of Warcraft (around a year or so) the core of it still remains largely the same. You start off in one location, head off to do some quests and once you’re finished in that area you’ll head off to the next one to repeat the process. How you go about that has changed rather dramatically with the ideas introduced in Cataclysm, quest hubs and the like, improved upon considerably. There’s also been vast changes to the skill and talent systems which meant that character classes I was once familiar with suddenly feel very different. All of this adds up to a game that has the same overall feel as previous expansions did but plays very differently. Probably my favourite among the improvements in Mists of Pandaria is the much smarter rewards system that takes into account your current class and specialization, offering you gear that is quite likely to be useful to you. I can’t tell you how many of the rewards in previous expansions just went straight to the vendor but in Mists the vast majority of them were useful upgrades. Even better was the fact the rewards kept scaling upwards with each new area I’d go to, ensuring that I always had enough gear to complete quests there rather than me having to hunt through the Auction House in order to make the cut. Couple this with a few dungeons here and there and I never felt like struggling, unless the encounter was specifically design to test me. I think that feeds into the larger overall feeling that the whole World of Warcraft experience has just been streamlined, almost to the point of perfection. After I had blasted through 80 to 85 (as I got a Scroll of Resurrection from a friend) I was surprised just how well the quest chains seemed to line up. It was pretty much spot on for me gaining a new level and then a quest would send me onto the next area, ensuring that I didn’t waste my time in an area that would slow down my levelling pace. Couple this with other things like the in built quest tracker, better designed quests and dungeons that don’t require Deadly Boss Mods and 10 minutes on Wowhead to understand means that you’ll rarely find yourself wanting for anything, bar possibly the occasional Google search. I unfortunately failed to get to 90 before deadline so I didn’t get a look into some of the endgame content but my friends who have been playing for a while before me say its top notch. The addition of raids to the dungeon finder has apparently made the whole experience much more enjoyable. Gearing up for current raid tiers has also been made a lot easier by significantly upping the drop rates of items in previous raids, saving people a lot of time by not requiring them to run old content constantly (something that was a real drag in the past). There’s also a whole host of other things I didn’t bother trying like crafting or pet battles but I highly doubt I was missing out on anything amazing there. What really impressed me though was the huge amount of work Blizzard has put into the quests and the storylines behind them. All of the storyline quests, of which there are many, are fully voice acted, something that was limited to in game cutscenes and cinematics previously. This would be cool on its own but every quest hub also has its own little story line behind it, giving you an insight into why they’re there and how it all fits into the larger picture. It says a lot when you actually start caring about the NPCs as they just felt like part of the environment before. Now they’re actual characters, integral to the overall story. This goes hand in hand with the brilliant music direction care of Russell Brower who’s been behind the music of all the expansions since The Burning Crusade. Whilst many games can get music right in pre-rendered scenes and scripted in game events rarely does the music feel like its meant to be there during the regular parts of the game. In Mists of Pandaria it’s far more than background noise, adding that extra element that complements everything else. If you’re interested it’s available on iTunes, if you don’t want to play the game that is. I’ve been a long time fan of the World of Warcraft series having followed it from closed beta all the way up to the game that it is today. The way I’ve played it has changed dramatically over the past 8 years and the changes they’ve made are the reason I’ve kept coming back time and time again. Whilst I don’t believe I will ever get back to the same insane, near addiction levels that I did all the way back when I first started playing I don’t believe that’s a bad thing. Instead World of Warcraft has become that co-operative RPG that I play with friends every year or so and I’ll be damned if I don’t have fun every time. 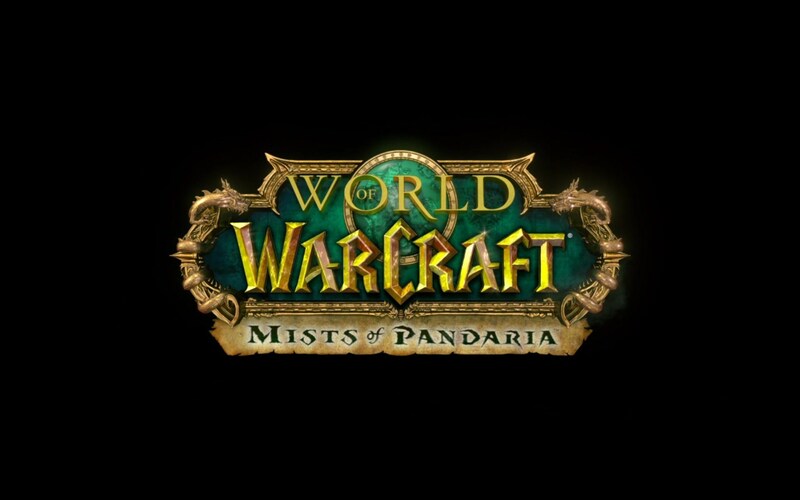 World of Warcraft: Mists of Pandaria is available on PC right now for $69.99. Total play time on a new level 80 character was 32 hours, reaching level 89 (and maybe 1/3rd of the way through that).